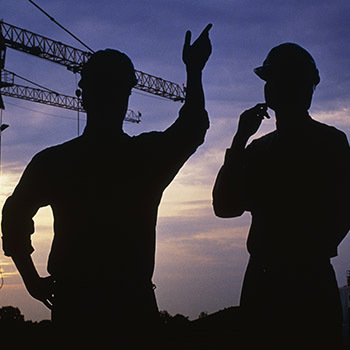 DEPLOY Construction Solution | LANGUI Systems Inc. The construction HR application is a version of our DEPLOY solution that allows construction companies to easily manage their workforce, provide secure access to various documents related to each user domain from either a desktop or smartphone, and provide extensive reporting features on status of work and requisitions. The main part of the DEPLOY solution is to identify and record important details on all workers involved in the company and identify if they are full time or subcontractor or whatever grouping the company requires. Workers are then assigned to worksites. If needed, some worksites may need special skills and experience and this ability is provided. Document management is a key part of the application where contract documents, amendments etc are uploaded to the central server and access control is tightly managed by the user profile setup for that user type, e.g. client, subtrades etc. These are accessible from the desktop or smartphone. Scheduling tools are available to define work hours by worker at each site and as required match any specific qualification needed at that worksite to the employee. Timesheets are easily compiled based upon actual or scheduled times on site. Access control to the application is tightly controlled by a secure User Profile Utility that ensures a user login can only see what they are entitled to see and download and what they are allowed to add / edit in the application. Clients, site managers, and HQ staff all have unique user profiles that control what they can do within the application. Two smartphone applications are available. The first is the Mobile Employee Login (MEL) that allows employees to see their work schedules, access important documents needed for their work and provide updates from their phones on when they started and ended their shifts plus record significant events during their work. The second application is the Mobile Client Login (MCL). This application allows clients to view the status of work on their sites and to identify any new tasks / issues that are happening at their sites.